Welcome to the Photo GPS Extract website! Important message: Google recently changed its pricing policy for the usage of the Google Maps. Because of this, all versions of Photo GPS Extract up to version 7 will stop functioning properly as the Google now requires applications to have an API-key. 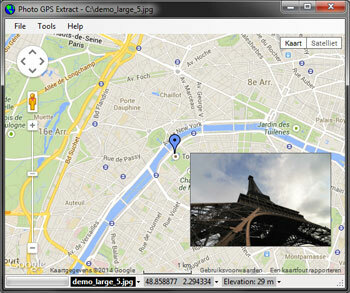 I am working on a new version Photo GPS Extract 8.0 but this version isn't finished yet. As a result, there are temporarily no downloads available.